To save the Chuckanut Mountains we need your help! Consider making a monthly donation by credit card. Simply choose an amount and click the "Subscribe" button below. Donate $50 or more and we'll send you a free copy of Trails of the Chuckanut Mountains by Skookum Peak Press (2008). 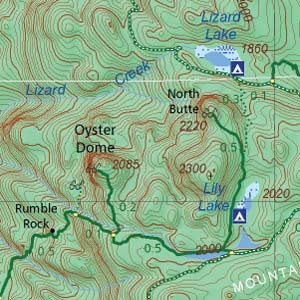 This highly detailed map includes Blanchard Mountain, Larrabee State Park and more than 80 miles of trails, plus trailheads, topography, lakes, views, area parks and more (18"x24" on rainproof paper); $11.95 value. You can also join our "100+ Businesses Who Love the Chuckanuts" campaign! Click the link for more info. For more information on any of the above, please contact us!